Government austerity measures have hit South Tyneside harder than anywhere else in the North East. According to a study by Cambridge University, the borough saw spending levels slashed by 44 per cent between 2010-17 - with council bosses saying this means £746 less per household - and the third hardest hit area in the country. The report’s authors have also warned that Government policies to shift more responsibilities to councils could make the situation even worse. Coun Ed Malcolm, South Tyneside Council’s cabinet member for innovation and resources, said: “As a result of crippling government cuts, we have lost more than half of our government grant since 2010. This means we have £746 less per household to spend on delivering vital services for the people of the borough. Only Westminster and Salford have seen deeper funding cuts that South Tyneside. 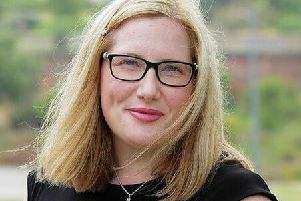 Neighbouring Gateshead was the second North East local authority to be in the top ten for funding cuts, with a reduction of 41 per cent. In all, 46 English councils have slashed funding by 30 per cent or more since 2010. As central government funding has been scaled back, there have been promises local authorities will be able to become more self-sufficient through schemes to help them raise more cash locally. But the report warns this could lead to a ‘beggar thy neighbour’ mentality which could deepen the damage. Geographer Dr Mia Gray, who worked on the study, said “The idea that austerity has hit all areas equally is nonsense. Local councils rely to varying degrees on the central government, and we have found a clear relationship between grant dependence and cuts in service spending. Services hit hardest across the country include highways, where South Tyneside Council has a repairs backlog of almost £70m, adult social care and children’s services. So-called ‘discretionary services’ have often been the first to be cut since 2010 as councils seek to maintain their mandatory services. Coun Malcolm added: “Despite these cuts, we remain ambitious and committed to doing the best by our communities. “We have had to look at new and innovative ways in which to deliver services but the stark reality is that we can’t protect all services and some of the decisions we are forced to make are becoming increasingly unpalatable. “There is some ambiguity as to whether the government’s policy of austerity is at an end. “I certainly hope it is as austerity has failed the people of the borough.